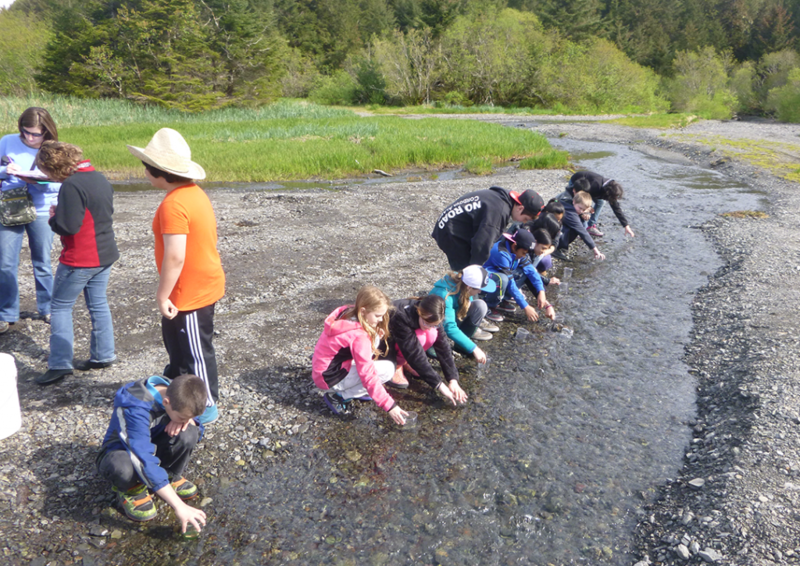 On the morning of May 20, Cordova’s 5th grade class took a field trip to Fleming Spit to release the salmon fry they have been raising. Eyed eggs arrived from a hatchery in January and the fourth, fifth, and sixth grade classes at Mt. 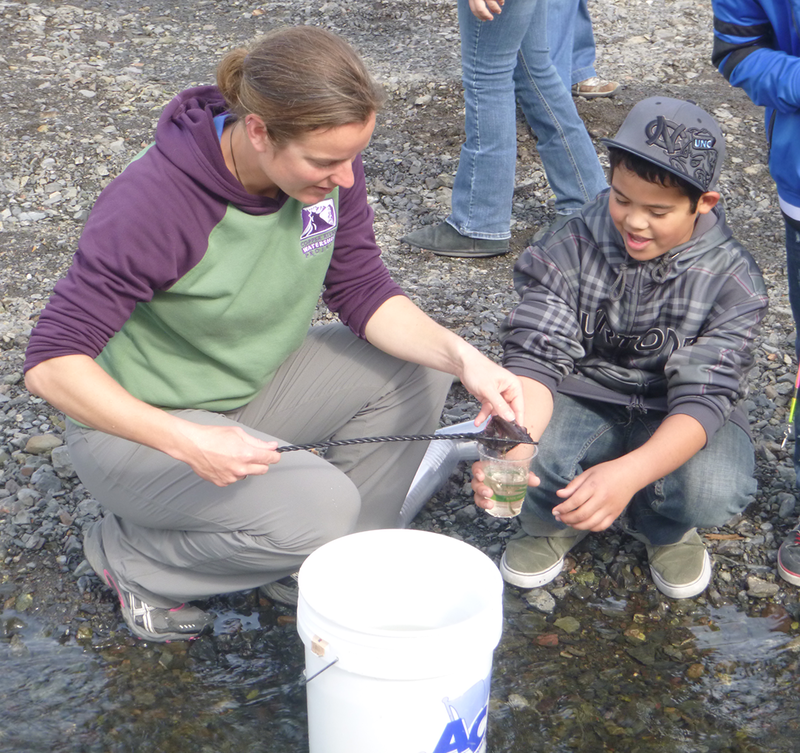 Eccles Elementary School have taken turns with feeding and monitoring water temperature. 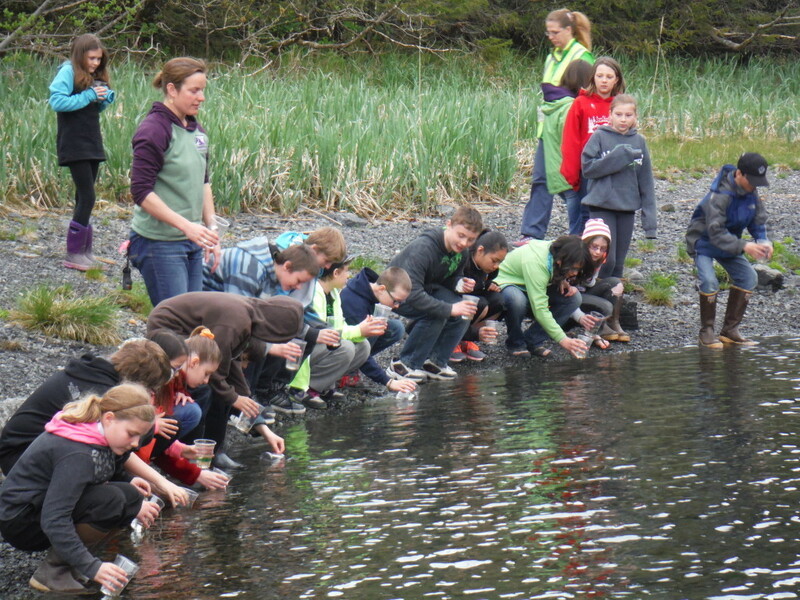 All their hard work paid off when over 180 coho fry were released into the wild. The students also learned about hatchery fish by watching Prince William Sound Aquaculture release 50,000 coho smolt into a net pen. 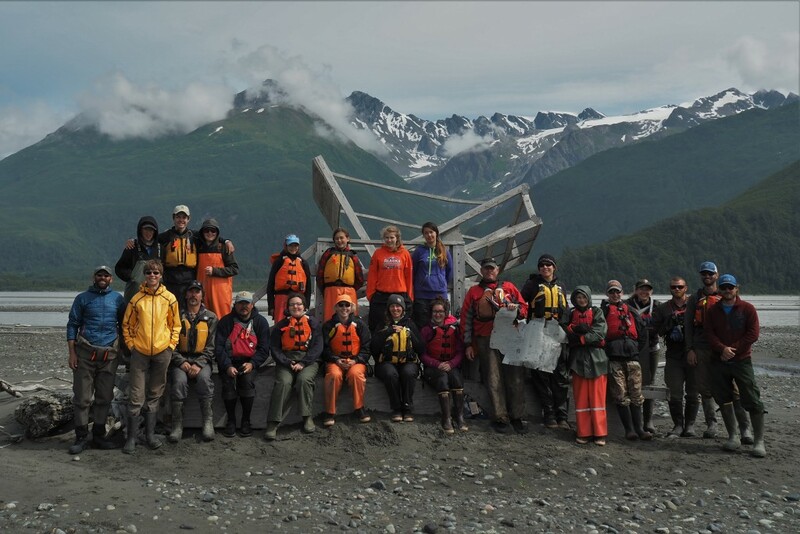 This project is made possible by our partnership with Kate Morse at the Copper River Watershed Project. Click here to see a video of the fry being released. Kate Morse of the Copper River Watershed Project distributed a cup with 10-15 fry to each student. Students allowed the temperature of the water in the cups to match the temperature of the stream before releasing the fry. 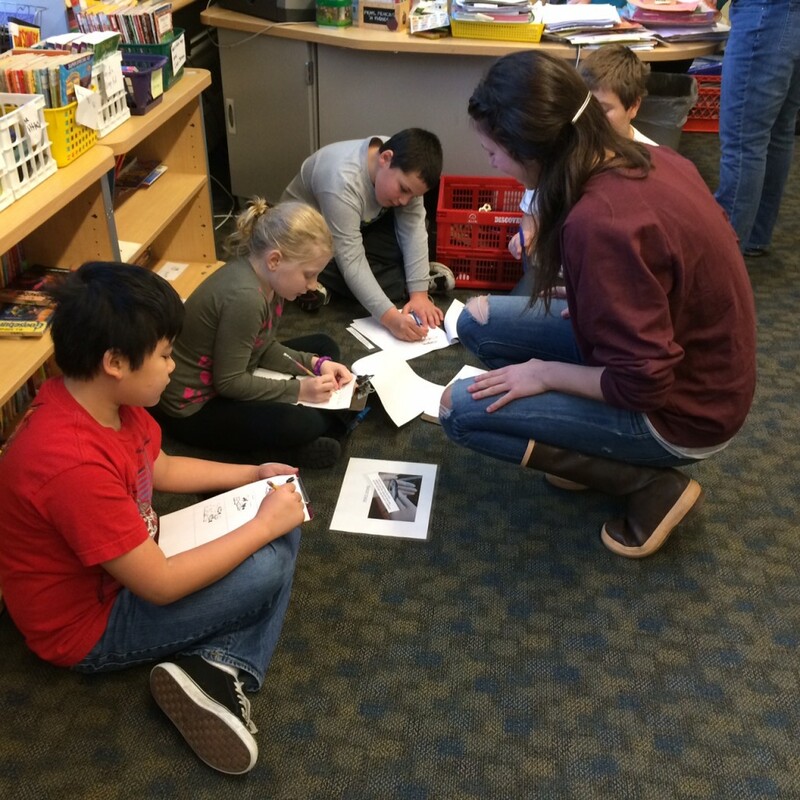 Molly Swartz assisting the students with the adult phase of the life cycle.